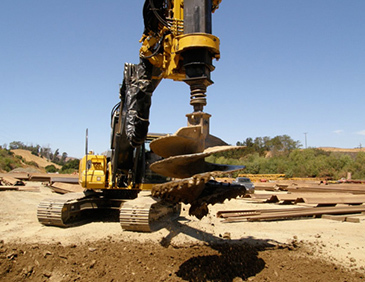 ABI offers an extensive catalog of machines, tools and attachments for use in various pile driving, drilling and press applications. ABI's experienced design team prides itself on developing suitable solutions for individual customer problems, offering the perfect technology at a reasonable cost. Worldwide service and consulting, rental equipment availability and quick delivery are important parts of ABI's success. 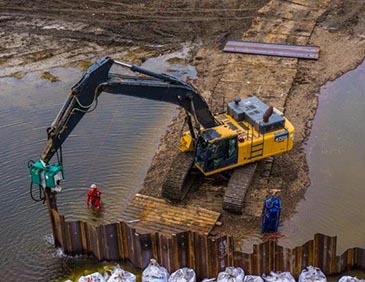 The impressive history of the ABI Mobilram System includes the manufacturing of over 1,100 systems for use on foundation construction projects around the world. 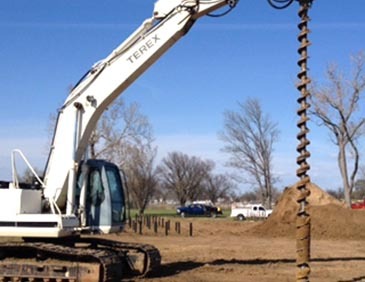 The Mobilram system offers a self-contained package that can be configured for a wide variety of pile driving and foundation installation work. Initial erection as well as changing from driving to drilling tools can be accomplished in less than one hour. 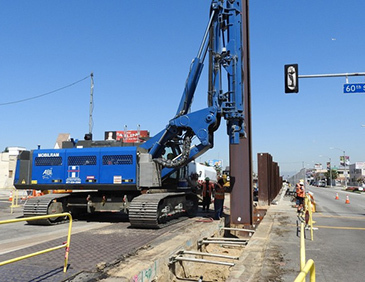 Smaller piling crew sizes, as well as fast and accurate driving/extracting, combine for excellent production rates and profitability. 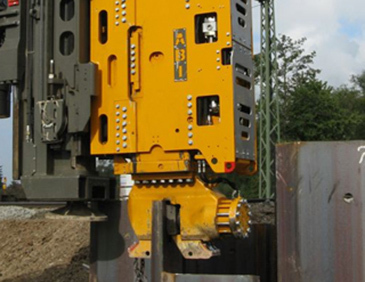 In addition to the ABI Mobilram System, Hammer and Steel also proudly offers ABI's quality excavator-mounted piling and drilling attachments as well as the highly innovative Geodrill system. ABI MobileRam TM 14/17Learn more about the ABI MobileRam. ABI GeoDrillLearn more about the ABI GeoDrill.